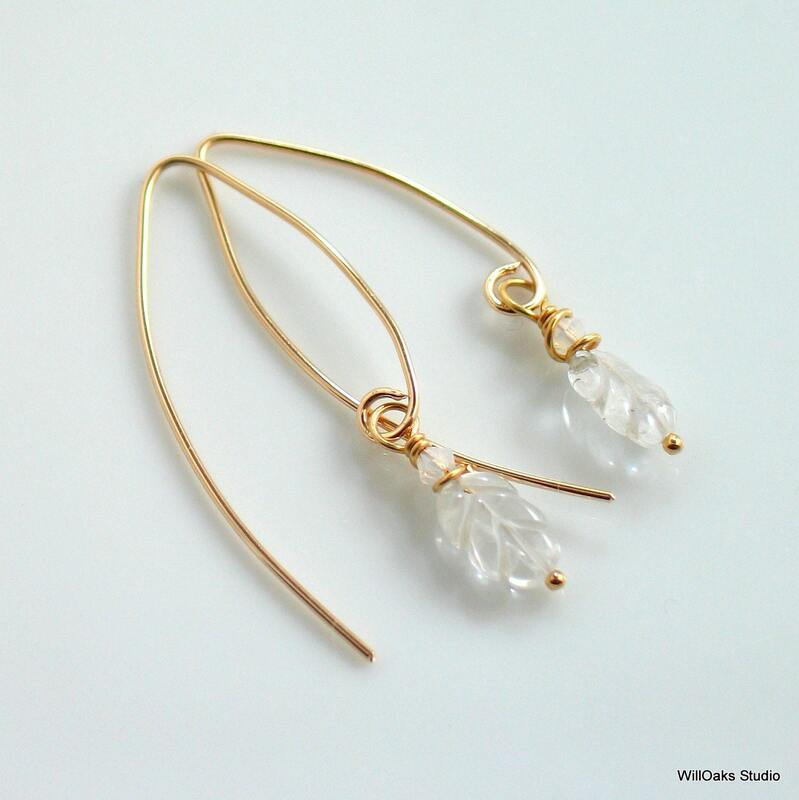 Original art earrings glisten like ice. 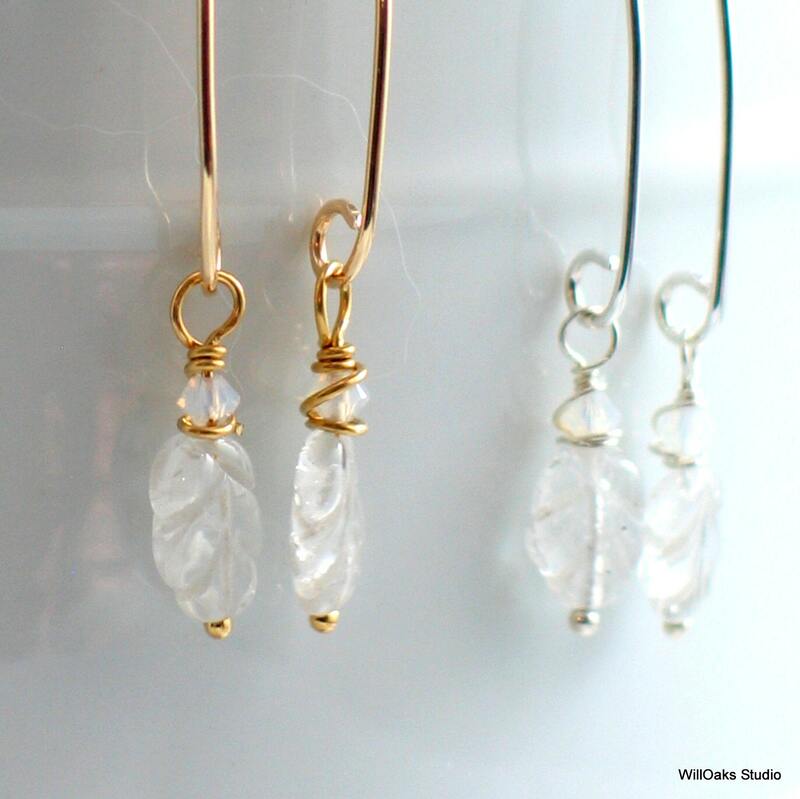 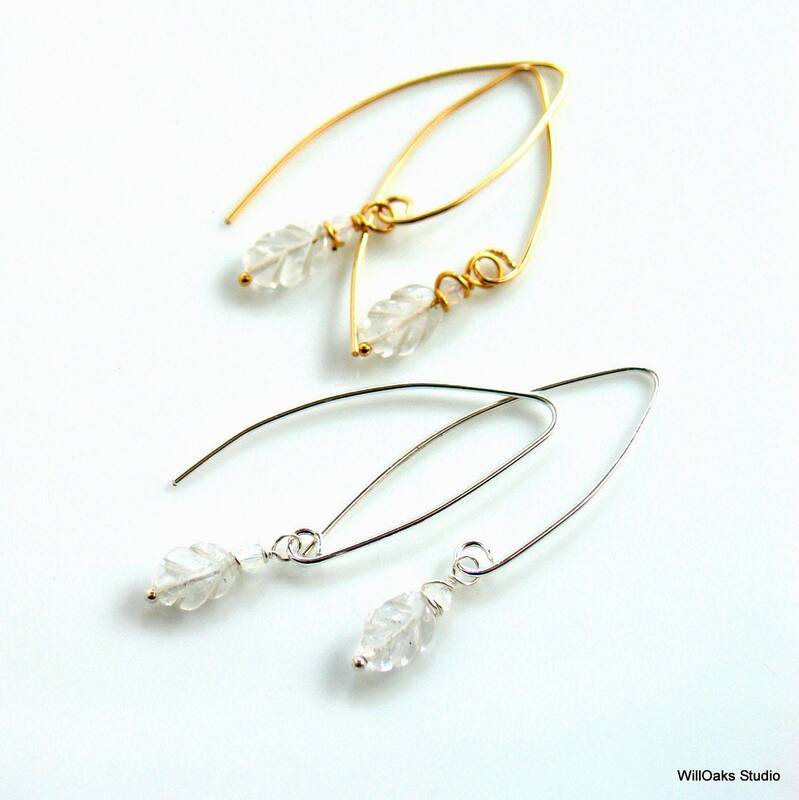 Leaf shapes, hand carved from clear rock crystal about 3/8" long, are each wire wrapped with a small Swarovski Crystal. 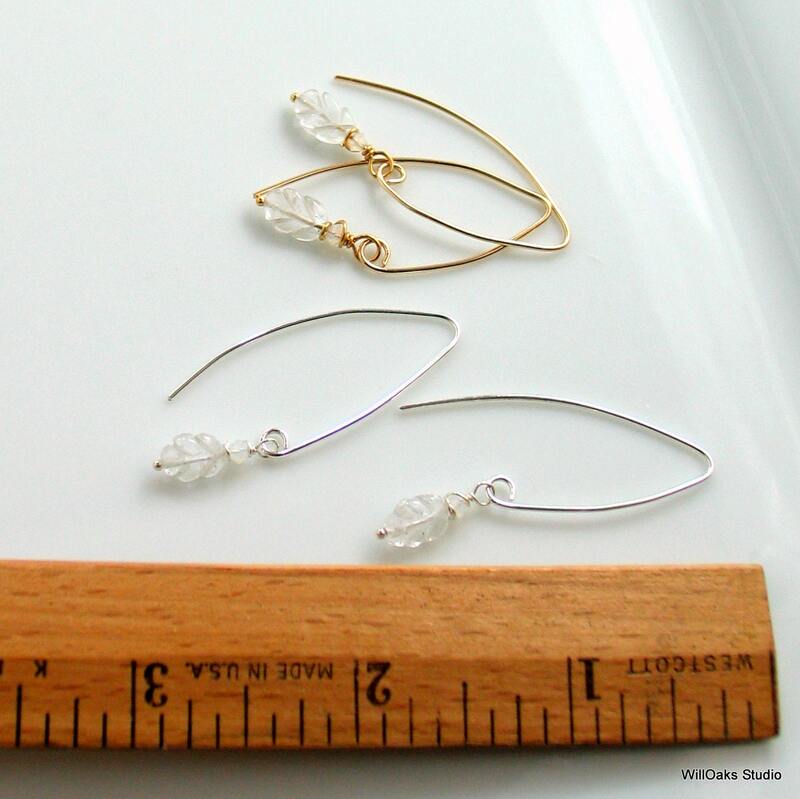 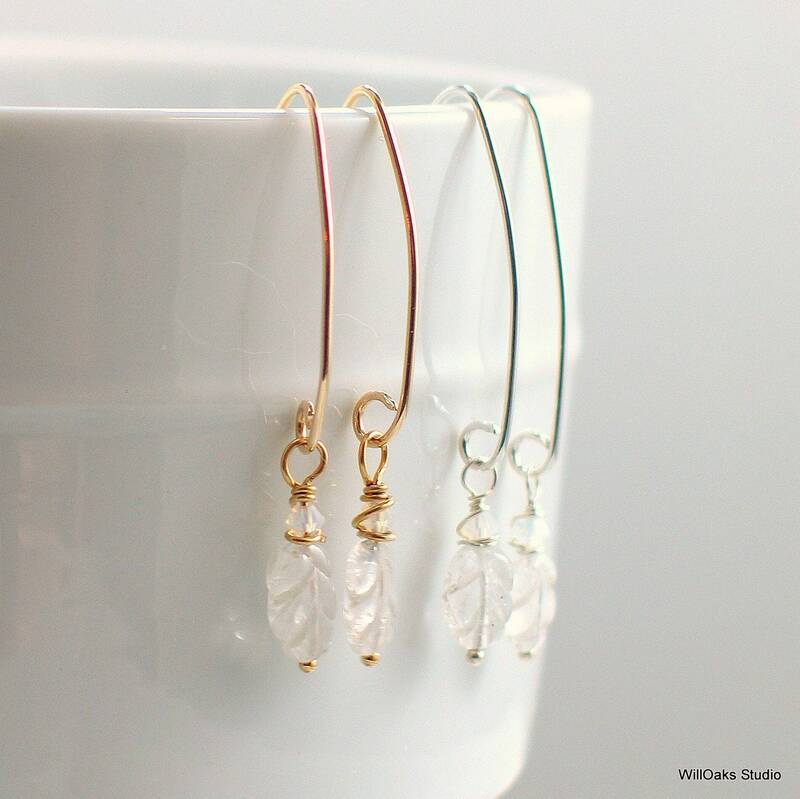 Total earring length is about 1 3/4" and the leaf creations swing freely from hand formed ear wires of sterling silver or 14 20 gold filled wire.